Utila Lodge is located in the center of the town of Utila, Bay Islands, Honduras. It can be reached by Aerolineas Sosa from La Ceiba on mainland Honduras. There are only 8 rooms, and there is a truly family atmosphere about the place. The dress is totally casual. I didn't wear shoes for days, and sometimes appeared at meals shirtless. The rooms, which are built on stilts in the water, are comfortable, and the meals are excellent. The entire staff does an incredible job of making every guest totally at home. Times for all meals revolve around the diving schedule. The lunchtime is determined by the return of the morning dive boat. Dinnertime is dependent on whether we are doing a night dive. About twenty minutes after docking, the bell rings, and lunch is served. Everything is done for the convenience of the divers. The boat goes out for two dives every morning, one dive almost every afternoon, and one or two night dives during the week. One morning, our second dive was traded in for a much more exciting event. A whale shark was spotted. 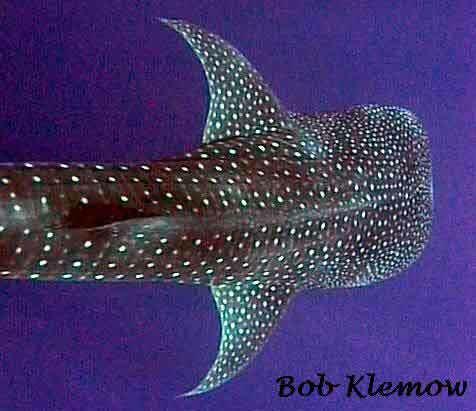 Our boat sped to the site and dropped us directly over the whale shark, fins and mask only, no tank. Over the next hour, at least five more times, we dropped into the water directly over Senor Big. Utila Lodge is connected with the Shark Research Institute out of Rutgers for studying Whale Sharks. From the very large to the very small, diving on Utila is awesome. 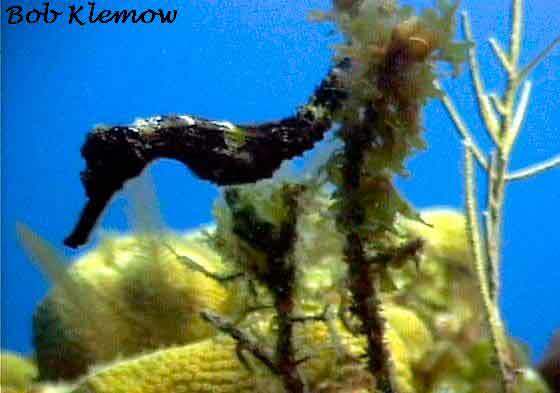 Our divemaster, Jungle Jim, found this seahorse a few days after Captain Willy led us to the Whale Shark. All in all, Utila Lodge is a fantastic dive vacation. I really did not want to leave.